You may be reading this because your mortgage company has told you that they cannot (or will not) report your mortgage payment history on your credit report because you did not reaffirm your mortgage in your Chapter 7 case. This is a common issue. This is normally a concern when you have made all your payments and you want credit for the good payment history on your credit report. When you finance the purchase of a home, you normally sign a (1) Promissory Note that states how much your borrowed and the terms of repayment, and (2) Deed of Trust that indicates the creditor has a lien on the home and that they can foreclose (take the home) if you fall into default on payments (or lack of insurance, etc.). When you receive a discharge in Chapter 7, you receive a discharge of the Promissory Note (debt) obligation. So, while the creditor can still foreclose by virtue of the Deed of Trust (lien) if you do not make payment on the Note, they cannot hold you personally responsible/liable for any unpaid part of the debt either before or after foreclosure. A debtor in bankruptcy can “get around” this credit report issue by “reaffirming” the mortgage debt. A Reaffirmation Agreement is a document signed by the debtor and the mortgage creditor that agrees that the debt is not discharged in the bankruptcy. To be effective, Reaffirmation Agreements must be filed with the bankruptcy court before entry of the Discharge Order (which occurs 60 days after the initial 341 meeting). In much of the country, a debtor is personally obligated on the balance due on a mortgage debt after foreclosure. In other words, if a mortgage creditor forecloses and sells a home for $150K and the debt was $250K, the former-homeowner still owes $100K on the debt! As a result, the Bankruptcy Code does not require a homeowner to reaffirm a mortgage debt to keep the home. All they have to do is keep making the mortgage payment. As a result, most debtors choose not to reaffirm a mortgage debt; instead, they just choose to keep making payments. As a further result, most mortgage companies do not even ask debtors if they want to reaffirm a mortgage debt. Some mortgage creditors have rejected a debtor’s request to reaffirm the debt. Because a debtor can keep a home by just making payments (called the “ride through” option), some Judges have even rejected reaffirmation agreements. Does The Court Have to Approve Mortgage Reaffirmation? No, the court does not have to sign off on or approve of a Reaffirmation Agreement of a consumer home loan for it to be effective and enforceable. We tell all of our clients with a mortgage about this issue. We give all such clients a document entitled: “Real Property – Bankruptcy Impact” and another entitled: “Reaffirmation Agreement Options – First Mortgage.” In both documents we tell our clients that if they do not reaffirm the mortgage that future payments will not be reported on their credit report. Most of our clients choose not to reaffirm their mortgage debt and, if they want to keep the home, to just keep making the mortgage payments. What Can You Do If You Did Not Reaffirm Your Mortgage? After bankruptcy, many clients later seek to incur debt such as a new home loan or, maybe, a refinance of the existing mortgage debt discharged in the Chapter 7. Most mortgage lenders obtain a mortgage payment history from a credit report. Obtaining a new loan can be a problem if your mortgage creditor is not reporting post-bankruptcy payment activity to the credit reporting agencies. A debtor might try to resolve this by obtaining a payment history directly from their mortgage creditor and providing this history to the prospective lender. One client did this and the new lender did a “rapid rescore” taking into account this information. They obtained the new loan. I am not sure how common this is, but it did work. Beyond that, if a lender wants to lend you money, it seems to me that they should accept proof of payment outside of a credit report. If your prospective lender won’t work with you even though you can prove you have made all post-bankruptcy payments on time, maybe it is time to find a new lender. A debtor might also send their mortgage creditor a letter stating that (1) they want the mortgage creditor to report the good and bad payment history and (2) the debtor does not consider the mere act of reporting the payment history to be a prohibited act to collect the debt. There are many cases that support this position. The debtor might even assert that failing to report the payment history constitutes harassment. If you are going to do this, you should do it right after your case is complete. A debtor might also “dispute” the information in the credit report if it does not show the payment history. In this scenario, a debtor would send a brief statement to the credit reporting agency disputing the accuracy of the reported payment history, indicate they are current on payments, and assert that the only reason the “on time” payment history is not shown is because the mortgage was not reaffirmed in the Chapter 7. See, 15 USC § 1681i of the Fair Credit Reporting Act (procedure in case of disputed accuracy). Thereafter, every time a credit report is issued, your dispute is sent with the credit report. If nothing else, your dispute is conveyed to the party receiving the credit report. Finally, another potential solution to this problem may be for a debtor to use a credit report service like PRBC (Payment Reporting Builds Credit). With organizations like PRBC, consumers create an account to track their history of payments to creditors, including unreaffirmed mortgages. Further, the National Credit Reporting Association (NCRA), the National Association of Mortgage Brokers (NAMB), the Mortgage Guaranty Insurance Corporation (MGIC) and Fair Issac (FICO) have agreements with PRBC to assist homeowners to report their mortgage payments. As a result, such a service may help a debtor provide the necessary mortgage payment history when applying for a future loan. Can You Just Reopen Your Bankruptcy And Reaffirm The Mortgage? There is no law that says you cannot refinance or modify a mortgage that is not reaffirmed in bankruptcy. Some lenders want to see the payment history on your credit report because that is how choose to calculate whether you qualify. That is their prerogative. However, not all lenders are this rigid. Sometimes you just have to be persistent and check with multiple lenders including local credit unions. Also, when pushed, some lenders will get approval to use a payment history direct from the mortgage creditor. Frankly, if you qualify for a home loan, I expect there to be more and more lending options arriving to help make this a non-issue for most qualified borrowers. I would love to hear about your experience in these matters, especially if you found a lender that is less concerned about having your payment history on your credit report. I will work to collect and post here prospective lenders that are flexible when it comes to payments histories absent from credit reports. I hope you have found this helpful in dealing with this stressful subject. Otherwise, if you have any questions or comments on this subject, please let me know. I would be happy to help. I am filing chapter 7 bankruptcy. I am trying to keep my house. The bank is refusing to reaffirm my mortgage. I am current on my payments but have other loans with them that I am filing on. What can I do? I live in tennessee. Question-We are in a situation where wells fargo refused to send reaffirmation paperwork due to being in a payment plan (we were not current on mortgage during bankruptcy, but were current on the temporary payment plan) It took almost a year post bankruptcy for our final HAMP modification to go thru. During the entire modification process, our HPS told us that once this was finalized, our payments would be reported. Once everything was completed, i am now told that they will never report payments. We feel like our credit can’t rebound, w/o our mortgage history being reported. We are now over a year into ontime payments, and nothing is getting credited. What is your advise on this? Hi Connie: Did you get their promise to report the payments in writing? If you did not, it might be hard to prove. However, if you did, that would be of great help. I also have Wells Fargo and they are horrible. I would never advise anybody to ever use them. I filed bankruptcy in 2001 and have been discharged for some time and I did not have wells fargo at the time but my Mortgage was sold to them and ever since Wells Fargo has taken over in 2004 they have not reported my mortgage either. Ive tried numerous times to refinance and it has been impossible for they are not willing to report to the credit or help in any way. ive been paying my mortgage with them for almost 13 years. i feel Im at a loss. Not sure what else to do. Hi I filed Chapter 7 in July 2013, and re-affirmed by mortgage, home equity line, and furniture payment. I recently applied for a credit card and they told me that my payments were not being reported to the above creditors. I’ve been making all payments on time, and i’m not sure who dropped the ball- as I’m fairly confident that I signed all the reaffirmation documents in time for the discharge . Where should I go from here? Hi Rachelle: The first thing you might do is check with the court to see if the RA’s were actually filed with the court. That is normally done by the creditor. If they were not filed, then you might have your answer. If they were filed with the court, then the creditor is the issue. Creditors do not actually have to report to credit reporting agencies. However, if they do, the information reported has to be accurate. So, start with the court and then check with the creditor. Please let me know if I can be of further help. Creditors are fond of similar mistakes in other cases , but I Strongly suggest you check again if they were filed with the court as the reaffirmation procedure goes through their channel. I also have a situation with Wells Fargo where in 2009 my BR Lawyer files 3 extension requests to file re-affirmation paperwork. Wells Fargo delayed the return of the documents so the 60 time period had expired. My lawyer has several cases where Wells Fargo has done this. Un-known to me, the loan was never affirmed, credit for payments not being reported. For 8 years I have made payments. When I talked to WF about a re-fi. They blamed my lawyer for the late documents and say they cannot do the re-fi. The current rates are 2.5 % higher than my current rate. They are profiting from this “Non-Reaffirmation”. Hello. My wife and I received a chapter 7 discharge in December of 2014 in the state of KY. We signed a reaffirmation on our mortgage and car loans. We have never been late on those loans prior or since the discharge. I would like to refinance the 2 mortgage loans to today’s considerably lower rates. Our credit scores are currently at the average to good range at or about 700. Will a new or current lender possibly refinance us now or will we have to wait a certain number of months prior to being eligible to refinance? It is my understanding that a FHA loan is not an option until 2 years after discharge. Thanks! Hi Allen: The last information I have as of about 12 months ago is that it is 4 years from discharge for a Freddie or Fannie loan, 3 years for a USDA / Rural and, as you note, 2 year from discharge for a FHA/VA loan. You might look around for a “portfolio” loan – which are loans made and held by specific lenders. They are harder to find. You might see if you have a local Director’s Mortgage – I believe they were thinking about doing those loans. Having said that, my guess is that you would need at least 12 months between discharge an any new loan. I hope this helps and please let me know if you found someone that lends sooner than 2 years post-discharge. Thanks! There are some private entities who don’t require a time period, after a bk7. You just have to look for lenders that might not be advertising this type of loan. I find that Google always helps me find what I need. If your scores are good, and you can verify enjoy, then look up private, privately owned, mortgage/refinance companies. I can’t remember what the name way, who I contacted, but I know they are out there. Yes, there may very well be parties out there than make loans more quickly. It’s just that the above loan types normally require the waiting period. Robert – we are in Illinois . Filed CH 7 in 2009, did not reaffirm mortgage, and received discharge in March 2010. We made payments to our mortgage until Dec 2014. Not one time from 2009 to 2014 did we receive any credit reporting on our reports (I pulled them each year) from our mortgage showing on time payments. It stated bankruptcy only and discharged. They did not report at all post bankruptcy. We tried to get this lender to credit report in 2012 and 2013 in an effort to refinance our mortgage to a lower rate. They would not do this. Now, due to income loss, we cannot afford to keep this mortgage. This lender now has “updated” my credit report to show missed payments. Is this not a violation of the Fair Credit reporting? I contacted Transunion and have asked for an investigation? How do I fight a large lender for this post bankruptcy reporting? Its punative. My credit score has dropped & two cards have already lowered my limits. Hi Debra: I think you may have a post-discharge injunction (bk) violation. You will have to check the law in your circuit to see if you also have a FCRA or other non-bk violation. I’d check with your former bankruptcy attorney to check his/her opinion. If they cannot help, then I would look for an attorney to help via http://www.NACBA.org or http://www.AVVO.com. A qualified attorney can yank them into bk court and have them explain to the court why they did not report good activity but then chose to report bad. Then again, maybe they will just fix the report and cover your attorney fee costs. Good luck! Hi-What if we had a BK 7 years ago, and the mortgage debt was NOT re-affirmed, and payments are not showing up on our credit report. Does that mean if we miss one or 2 mortgage payments (which we have not) that the non payment will not show up on our credit report? Thank you for the information! You do not personally owe the debt since it was discharged in the Chapter 7. As a result, neither making payments on time nor making payments late (or not at all) should show on your credit report for that discharged debt. My pleasure to be of assistance. Hi. Ours was not reaffirmed 17 years ago, original loan holder bought out by Ocwen about 7 years ago and we are late on payments which they are reporting on our credit reports. If you did not reaffirm a mortgage debt discharged in the prior bankruptcy, then you have no personal liability for it (the lien remains on the home). You might try contacting both the mortgage servicer and the credit reporting agencies and tell them that the post-bankruptcy payment history should not be shown since you have no personal liability for that. In theory, it could be a post-discharge violation for which you may be entitled to damages. One approach would be to follow the dispute process for incorrect items on the credit report. Tell them about your bankruptcy and discharge. Then tell them the credit report needs to be updated/corrected to remove ALL payment history after your case was filed. If it’s not resolved, then you can hire a bankruptcy attorney to file a lawsuit against the creditor for reporting activity on a discharged debt. However, the Court typically prefers that you try the amicable approach first before they will award you damages, fees etc. I want to make sure I am understanding the non affirmation of mortgage correctly. I and my spouse have both filed chapter 7 bankruptcy (both are not discharged). Mine was back in 2010 his more recently. We had been dealing w/HSBC now Caliber aka LS8F (my understanding both are subsidiaries under HSBC). Both of our lawyers told us not to reaffirm our mortgage one stating that I / We could walk away without any penalty. I would like to know why it is showing up on my Experian Scores but not on Transunion and Equifax? I was informed that as it is not affirmed it should not be reflected on any and/or if it shows it should be “0” owed. Please advise. Thanks. The great majority of mortgage creditors take the position that a discharged mortgage debt is/should not be shown on your credit report. The fact that one of yours shows the debt is a bit odd. Either they did not get the memo that you filed or, they did, but they may take an extreme minority position that it is OK to list the debt on your petition. Without asking them, it is hard to know which it is. My guess is that their software is, somehow, unaware of your filing/discharge. So, if you do not want it listed, you can dispute the entry with the credit reporting agency (and/or the mortgage servicer), and I imagine it would be corrected to say “included in bankruptcy” and “balance due is $0.00”. Feel free to let me know how this turns out. I was approved for a Home Modification while still in an active bankruptcy. The home loan was never reaffirmed, however after the Chapter 7 bkr case was discharged in December 2014 as well as my modification trial period December 2014. I have been making on time payments since and have recently learned that the bank will not report current and/or missed payments to the Credit Reporting Agencies. I have also learned that I could walk away from the home without any further obligations due to the home loan being actually discharged in the Chapter 7 bkr and reporting on my credit as such. Is this true? Secondly, if I choose to repurchase another home after rebuilding my credit years down the line would I be able to do so and not have to worry about selling the current home as the current home is showing to have been included and discharged in a bkr? If the mortgage debt was not reaffirmed, then your obligation/debt was discharged. If that creditor forecloses, you would not owe them anything left as an unpaid balance on the debt. However, you do, in fact, own the home until you don’t own the home. You own the home until either you sell it, there is a completed foreclosure, or there is a deed in lieu of foreclosure. If you search my site for an article “Bankruptcy Impact on Real Property”, that article will give you extra info you might find helpful. One practical impact of still owning the home is that some new loans require a foreclosure be completed at least five years in the past. If that is you, you have not even started that five year period. Oddly, you might qualify for a loan now but might be disqualified once a foreclosure (or short sale occurs). For this, you need to talk to an experience mortgage lender. Good luck! I have a similiar situation with Wells Fargo. During our bankruptcy, my attorney made requests to send reaffirmation paperwork for our mortgage and car loan. I did not realize until over a year later, the wells fargo did not send us a reaffirmation letter. At the time, we were pending HAMP and making payments as agreed under a temp payment plan. It wasn’t until our HAMP was signed, sealed, and delivered, more then 12 months later, which involved a NEW mortgage contract, that i called out wells fargo for not reporting payments (keeping in mind that all thru the modification process, i was assured by multiple ‘home preservation specialists’ that once everything was finalized, my payments would be reported on credit) Upon calling wells fargo out, i was told that it was the policy not to send reaffirmation paperwork when you are not current on the mortgage. My argument is that I was current on the TPP that wells approved, In speaking to my bankrupcty attorney, he stated that he has especially hard times with wells fargo, and in speaking with wells fargo i was told that it was the same loan number, so they can’t report it. I feel like we signed a new contract, and that new contract should be be reported on our credit score. Attorney recommended we see an attorney that specalizes in credit issues. We went through everything due to a job loss, and now that that is all past, we need to rebuild our credit and want our payments reflected-what are your thoughts/experience on this situation. Hi Russel, Thank you for answering our questions! Our bankruptcy was discharged over 4 years ago…our credit rating is in the mid 700’s and we did not reaffirm our mortgage. We were looking into refinancing our home and things are looking ok, but there is concern our house will not appraise for what we owe on it. Here is our question; If we choose to ‘walk away’ continue paying taxes and insurance until the foreclosure goes thru….how likely is it that we will be able to get a new mortgage for a new home? We know it will not go against us on our credit report..but have concerns getting a new mortgage. Your question really have to do with lending requirements. I’d ask several qualified lenders your question. I expect that missing or making mortgage payments on the discharged debt will not show on your credit report. However, a foreclsoure is public record. So, if you don’t have a problem before then, you will probably have one at that point. So, find a qualified lender and ask them. If you need a referral and live in or near our area, please let me know. Good luck! I filed Chapter 7 in 2010 and Wells Fargo did not reaffirm the loan, which is apparently their standard procedure. I elected NOT to pursue reaffirmation because the neighborhood my home is in is in rapid decline and I cannot sell the home for what I would owe. In other words, I wanted to keep my options open to get out with as little financial damage as possible. We are now looking to move altogether and I don’t know what my options are to sell this home. Should I purse a Short Sale, do Deed in Lieu of Foreclosure, walk away outright and let it foreclose or just see if by some miracle I can get what I owe from a buyer? I’ve built up nearly 6 year of good credit now and whatever I do will hit my report all over again (for another 7 years). I earn the primary income in my marriage (my husband was not part of the Chapter 7 as I was single when I purchased the home), and we don’t think my husband’s income & credit alone will be enough to buy a new home. What do you recommend? FYI I am in Ohio, and I know laws vary from state to state. Here is a link to an article I wrote on the impact of filing a Chapter 7 on home ownership. It outlines the different ways to transfer a home. Impact Article I would talk to a qualified lender. They would likely have good ideas on the timing and options. One option you might want to look into, if you want a home loan sooner than later, if the possibility of buying the new home first and then work on getting rid of the current home. If you have the current home foreclosure of transferred versus a deed in lieu, my understanding is that you have to wait for about 5 years to qualify for certain loans. Of course, if you sell it and pay the debt in full, there would not be any negative consequences. Good luck! My husband and I filed Bankrupcty 7 years ago. We did not reaffirm our mortgage. We are up to date on our mortgage but we are looking to buy or build a new house. However, our home is not worth what we owe on it. We are trying to figure out what our options are to take this next step in our life. My question is if we walked away from our home how would it effect our credit score and would we be able to get a mortgage loan? Also, I know for certain that we did not reaffirm however it shows up on our credit report on Credit Karma and I am not sure why? In theory, since you did not reaffirm, most mortgage creditors take the position that neither good nor bad credit entries can be made to your credit report. Anything contrary to that is unusual in my experience. You’ll need to talk to a home loan lender, but my understanding is that a foreclosure, deed in lieu or short sale will disqualify you for most loans for five years or so. But accurate info on that point can be obtained from a lender. You might qualify for a new loan before your current loan defaults. So, I’d run this by the lender as well. Good luck! And please feel free to update us if you have any useful news. I filed chapter 7 almost 2 years ago & didn’t have my mortgage reaffirmed. I am wanting to relocate & get rid of the house so I can start fresh. I know that the house won’t sell for even close to what I still owe. I have remained current on all payments but I need to know what happens if I just stop paying & what will happen if I short sell the house. How will both be reflected on my credit? How many payments am I “able” to miss if any before any legal consequences? Hi Denise: If you “just stop paying” the the creditor has the right to foreclose. You can avoid that if you can get them to agree either to a short sale or deed in lieu of foreclosure. A qualified lender can help you with the credit impact. However, I can tell you that a foreclosure is public record and will be on your credit report. A short sale will also be noted on your credit report. They are negative items, as you can guess. A qualified lender can tell you how it impact the lender process/qualification for a future loan. In terms of “legal consequences”, the first missed payment is a default. The creditor/servicer will likely let you get three payments behind before they get too aggressive towards foreclosure, but each creditor is different. Best of luck and seek the advice of a qualified lender to get direct information on the credit impact. My mortgage was recently discharged through bankruptcy. I was hoping to do a short sale due to the fact that it has less negative impact on my credit report and security clearance than a foreclosure would. My lender’s attorney advised me that doing a short sale would be considered reaffirmation of the moratgage debt – that debt is the reason I had to go bankrupt in the first place, so I definitely would not reaffirm it!!! My questions are: 1) is that true that a short sale after bankruptcy reaffirms the mortgage debt, and 2) do statute of limitation laws apply to foreclosure proceedings for a home that is owner-occupied? A short sale is not a reaffirmation agreement. I suppose that the investor might condition the short sale on you agreeing to be responsible for the balance. If that is a term of the short sale and you agree to that (being liable as part of the short sale), then I suppose there are some “estoppel” theories that might possibly make you liable. Although, that is questionable and would have to be reviewed completely and independently in your jurisdiction. However, many short sales “waive” the deficiency balance. I tell my clients that they can try the short sale and if the investor does not waive the balance, then they don’t have to do the short sale. I might suggest you give it a short (short sale) and see if the investor even tries to hold you liable by the terms of the short sale offer. I would doubt it. But review the SS offer/terms carefully. On the statute of limitations (SOL), you will have to check with an attorney in your jurisdiction. The passing of the SOL might, in some jurisdictions, might provide a defense to foreclosure. However, that strikes me as a long shot in most jurisdictions. Good luck! My husband filed Ch 7 over 11yrs ago. Our mortgage was not reaffirmed with Wells Fargo. We wanted to do a HARP refinance for a short term and lower interest rate. Even though we have paid on time for over 10 yrs Well Fargo tells me I have to reaffirm in order to refinance. I was told to file a motion to reopen the bankruptcy and reaffirm – but have been advised that this is not possible once it has been discharged. I contacted our Credit Union for refinance and was told they require the mortgage to be reaffirmed and showing on the credit report. Do I just keep shopping with other lenders? We have over $150,000 equity on this house and excellent credit. Reaffirmation Agreements must be filed before a Discharge Order is entered. Typically, a court will not reopen a case, vacate a discharge order, let you file a RA and then enter a new Discharge Order. However, I do know that a former debtor is NOT disqualified from a HAMP modification if they did not reaffirm the debt. LINK: https://robert-russell.com/must-reaffirm-mortgage-get-hamp-mortgage-modification/ HAMP and HARP are closely related in that they are administered by the same part of the federal government. So, it is possible that they cannot deny a HARP refinance due to the absence of a reaffirmation. Having said that, you do not qualify for a HARP refinance based on your apparent equity (HARP requires no more than 20% equity cushion). Here is a great resource for HARP requirements. https://www.hmpadmin.com/portal/learningcenter/advisors/docs/061213_FNM_HARP.pdf. You should check for the Refi_plus option (if it still exists – lending is not my area). Above all that, you can ask your servicer for a payment history that shows you have been on time for years (assuming you have). Then, shop for another lender if the current people won’t help. If you cannot find a lender, please let me know. I suspect I can find a lender that “get’s it”. 😉 Good luck! If you “walk away” I suspect a foreclosure would occur (unless you sell, do a short sale or a deed in lieu of foreclosure). A foreclosure is public record. So, that would/should be a negative entry on your credit report. You will have to ask prospective lenders if your credit score matters. It may for private loans; it might not for public/government guaranteed loans. The bankruptcy of the home is not showing on my credit report, only my wife’s because it was in her name. We have checked with the servicer of the loan modification and they do not have a co-borrower social attached to the loan modification. If we leave the home or default with payments, will it reflect on my credit report? Did you file bankruptcy? Does the mortgage reflect on your credit report now? If nothing about the home showed on your report before the bk, then I doubt anything ever would (because it appears you are not on the loan). We filed bankruptcy and it was discharged in May of 2011. We are in Tennessee. We reaffirmed on our home, but was later told by our lender at the time (Penny Mac) that the proper paperwork was not sent in by our attorney. They then sold our mortgage to another company (Nation Star) who assured me that all payments would be reported. We have never been late on the mortgage since the BK and since Nation Star was not the lender originally involved, should they not have to report our mortgage? I have called them multiple times and get the run around each time. The simple reporting of out on time payments would greatly improve our credit score, yet it still says the house was included in the bankruptcy, but we have been making our payments on time every month for over 3 years. We were also current at the time of the bankruptcy. This just seems so unfair that we are being punished as our lawyer did not complete the correct paperwork. He even showed up to the hearing late with his head still wet from the shower. When I called him about it, he said our only option was to reopen the BK. Any guidance would be greatly appreciated. Thank you! If is common to not reaffirm a mortgage. Typically, you cannot reopen to reaffirm because that would, normally, require that the Discharge Order be vacated first. That is, generally, hard to do. Having said all that, that does not mean your attorney messed up in the first place. It is hard for me to say who did or did not do what at this point. I would focus on what a new lender might want. If they want proof of on time payment, you can get that from your loan servicer. Also, there are services noted in the article where you can self-report the payments. You might give that a shot. Yes, this is very frustrating. Sorry you are caught up in this like so many others. My wife filed chapter 7 in 2010. We were married in 2009 and purchased our home in 2009. The only debt we have together is our home. Recently (2014) I discovered that our mortgage company had removed all of our mortgage payment history from my credit report. When I inquired into this, they told me that they look at us as a whole so neither of us will have any history reported to the credit bureaus. When the history was removed my credit was greatly effected. Is there anything I can do? I didn’t file and all payment were made on time. In theory, creditors are not required to report information to credit reporting agencies. However, if they do, they need to take reasonable steps to make sure the information provided is accurate. Here is a Experian link re: no requirement to report to an Experian article on that subject. You might further engage them and ask them to reconsider. Also, you can file a 100 word statement with the CRA that would explain your circumstances. That statement would go out to inquiring parties with the credit report. At least that way you can have your point of view known. I got chapter 7 discharge in 10/2012. I did not reaffirm my auto loan, but I continued to make payments. In April/2013 the bank took me to court for non payment. (the lawyer failed to ensure that I was not making payments). The Case was dismissed. I stopped making payments. I have neither heard from the lawyer nor the bank. Now how do I proceed to get my title. Do I still owe the bank? The creditor still has a lien on the car. You might contact the creditor and try to pay them a settlement amount to get their lien released. You might just drive the car around until it dies. So, no, you do not owe them money personally. But, yes, they still have the lien. What recourse do you have if your mortgage company reports late payments to the credit bureau several years after the mortgage was discharged in Ch. 7 Bankruptcy and never reaffirmed? You can dispute the entries with the credit reporting agencies citing the discharge. You can also sue or threaten to sue the mortgage company for violation of the post-discharge injunction (you get with the Discharge Order). If we decide to sue, how much could we get? P.S. The way we found out that our mortgage company was reporting to the credit bureau was when the bank turned me down for an auto loan due to the late payments on our mortgage. I am filing Chapter 7 bankruptcy in Indiana, my husband is not. I am reaffirming our mortgage, will this adversely impact his credit severely? Our home is joint ownership, even though the bk is individual. My lawyer never stated I could not reaffirm, I was assuming this is because the debt is joint. We are planning to keep our home, and as of now never move. My lawyer did not seem too concerned, but I am worried about it. Do we both reaffirm, or just myself? Our bankruptcy was discharged in 2008 and we modified our loan in 2011. No one ever told us about reaffirming ur mortgage! Now that it shows as unpaid on my credit report I can’t get any type of credit. Do I ask my mortgage company to report my payment history or get documentation from them that it has has been paid? I a little confused! The article above addresses this question. Your mortgage creditor does not have to show the discharged debt. Our mortgage company started reporting late payments to the credit bureau several years after the mortgage was discharged in Ch. 7 Bankruptcy and never reaffirmed. The way we found out that they were reporting to the credit bureau was when my bank turned me down for an auto loan due to the late payments on our mortgage. Do you recommend suing the mortgage company and is it worth it, i.e. how hard is it to win and can you win anything substantial? This might be a dumb question, but I filed chapter 7 bankruptcy a couple of years ago. I did not reaffirm on the mortgage. This lets me off the hook personally if something went terribly wrong. Now, I’m being contacted by another loan company to refinance. Wouldn’t this just put me back on the hook for the debt on the house? Thanks. Yes, a true refinance by a third party would create a new and enforceable personal debt. Regarding my earlier questions, do you recommend suing the mortgage company and is it worth it, i.e. how hard is it to win and can you win anything substantial? I filed chapter 7 bankruptcy three years ago and did not reaffirm my mortgage. I have stopped making mortgage payments because the house is underwater and the payments are extremely high. I have nothing showing on my credit report on the mortgage since it was not reaffirmed. Is there a possibility a short sale or foreclosure won’t show up on credit report since the loan was not reaffirmed and loan isn’t showing up on credit report. Public record recordings can show up on your credit report. So, yes, it is my understanding that a foreclosure can show on your credit report. My husband and I filed a Chapter 7 two years ago but decided to stay in our home and make payments at the time. Here we are two years later and we would like to leave the house and move to another city for better jobs. We are $50K underwater with what we owe and what the home is worth and know that we will have a hard time selling. I just noticed that my mortgage company wasn’t reporting any payment history on our credit reports due to the bankruptcy discharge. The Mortgage was taken out in my name only. If we just stooped making payments and applied for a new mortgage using my husband’s credit/name, what are our chances of getting approved? Will this old home come back to haunt us? If the old home debt is not in his name, then it won’t show on his credit report. If he qualifies for a home loan, great. It should be only if you are involved in the loan that the old home loan/bk will be an issue. However, a seasoned lender is the best person to seek advice from on this issue. In other words, your question is more of a lending question than a legal question. Good luck! You are not required to reaffirm any mortgage anywhere in the US. That is federal bankruptcy law. If you want to keep the home, you just have to keep making the payments. Now, if you want the post-bk payment history to show on your credit report (good and bad), you needed to reaffirm the debt. Most jurisdictions do not allow you to reaffirm a debt after a Discharge ORder has been entered. But please see if that is the case locally. The article above also notes some options to get credit for payments. Good luck! Great question. She is not on the loan. Therefore, the loan itself should not show on her credit report as a debt. However, since she is “in title” as an owner of the land, I suppose that her credit report might pick up any public records in her name regarding the land, e.g., a foreclosure that might name her as a party the creditor seeks to dispossess of ownership. But, I am not certain of the last possibility. That might be a great question to submit to Experian and/or Avvo.com. My husband and I did a chapter 7 bankruptcy back in 2010. We did not reaffirm our mortgage, but we did get into a modification agreement with our lender where our loan balance is at $265k, but they took the payments we couldn’t afford (hence the modification) and placed them at the end of our loan balance As non-interest amount due (38k) as a full payment at the end of the loan. The issue we have is the amount of repairs needed on our house just to even list it for sale is pretty high. Since we didn’t reaffirm our mortgage and the only lien showing is for our initial mortgage of $265 is there anything we can do to get rid of this 38k since we aren’t liable for the debt? It’s making it incredibly difficult for us to get approved for financing just to fix our home so it’s safe and livable. To the point of where we may have to walk away or hope a cash buyer would come in and take it. I am not sure if we should seek out a bankruptcy attorney or a real estate attorney to help us. It just seems the modification is hurting us more than helping us! Any thoughts? The $38K placed at the “back” of the loan and is not interest bearing is still part of the mortgage balance. (Having zero interest on a large chunk of the mortgage due in 30-40 years is a great deal.) Any refinance/sale will have to take that into account. A bankruptcy will not help with the $38K part of the loan because it is just a component of the mortgage loan. You might ask the mortgage company/servicer what the options might exist to avoid you deciding to not make payment on a perceived “lost cause”. Maybe the mortgage company would agree to split the mortgage into two parts to allow you to refinance a small part to make repairs and put the second part of the original loan after (“subordinate”) to the new loan. I have not heard of this being done, but a super creative scenario might allow for it. Hello, I’m with Wells Fargo right now and we are trying to refinance but they will not help us because we did not reaffirm with our chapter 7 bankruptcy. They told us we would have to go to court to get it approved. Is this true? It’s been about 2 years and 4 months since our bankruptcy has been discharged. Is there a lender out there that will help us? I am not aware of any law that says they cannot refinance your loan. I would just check with multiple lenders/brokers until you find one. I have clients that refinance a loan that was not reaffirmed. It can be done. I sure will?? Thanks again.? i filed bankruptcy Nov 12, 2015 and reaffirmed my auto loan. i am still making payments on this loan and when i checked my credit report is shows that it was closed. what is the reason for this. No legal reason I can think of. You should call the creditor and see what they say. Maybe it just might take a month or two for your credit report to be updated. Robert, quick question I cant wrap my head around. I am in Virgina and filed chapter 7 about 6 years ago. I have a 1st mortgage of 156,000 through Quicken and a 2nd of 7,000 through VHDA. My 1st got reaffirmed and shows up on my credit report. The 2nd does not show up on the credit report and seems to be included in the bankruptcy. I still pay on it every month on time, but the more I read I feel like there is no need to pay this second mortgage. I would hate to keep paying it for no reason! Please let me know what you think. Your personal liability on the promissory note was discharged. That’s why the debt does not show up on your credit report. However, it re,mains a lien on the home and, if you do not pay it, they have the right to choose to foreclosure on their deed of trust against the home. So, there is the promissory note (personal debt) and the deed of trust (lien on the home if the debt is not paid). They are two separate things. Hello. My question is a little different and I haven’t been able to find a direct answer. My husband and I filed Ch 7 back in 2009 in Missouri and I’m 90% sure we DID reaffirm the debt on our home (in digging through paperwork tomorrow to see if I have it). Now 7 yrs later with our family size doubled we are out of space and still upside down on our loan. I am trying to look into options such as Short Sale, Deed in lieu of Foreclosure, or even Foreclosure. But am I going to be able to do any of this or are they going to hold me personally liable even after I Foreclose or Short Sale? I have gone through and filled out all the information and when my mortgage company called me back, they asked if I had reaffirmed the debt. I said yes. Then she said, “I can’t legally talk to you about this because it involves your bankruptcy. You need to contact your attorney to get a clear understanding of what it means to reaffirm your debt or not and then call us back.” I’m really at a loss as far as the best option for someone in my situation and I can’t seem to find an answer anywhere. Any advice would be greatly appreciated. The critical thing is to find out if you reaffirmed the debt. If you did, a reaffirmation agreement will be filed with the court. Check with the court and check back with me. Robert, I looked up my court records online and Yes, there was a reaffirmation agreement that was signed between my Mortgage, my attorney, husband, and myself. So does this mean that at this point, if I did foreclose or short sale I would still be personally liable for the remaining balance of my mortgage? I don’t really know much about Missouri law. However, one source I generally trust says, “If you go through a foreclosure in Missouri and the foreclosure sale price doesn’t cover the entire debt, your lender may sue you to collect the entire ‘deficiency. '” So, I would check with a local attorney. Since the debt was reaffirmed, it appears that you very well might be liable for a post-foreclosure sale deficiency. You might check at http://www.AVVO.com or http://www.NACBA.org. Good luck! Mr.Russel I’having problem refinancing due to not reaffirming during Bankruptcy chapter 7 back in July 2013.My discharge was Nov.12,2013.I have a 1st and 2nd Mortgage.PennyMac Loan have refinance my 1st mortgage to reduce my rates and payments after seven months of banckruptcy.The 1st mortgage was reported to all credit bureaus and my 2nd loan was reported closed and paid and shows the original amount.I disputed this why is not being reported since we have not stop paying since it was originated in Aug.2007 and have not missed a single payments.They have all the records that is being paid and I have all printouts.They have it now with their legal corporate lawyers.All we want is to Refi and lower payments. Creditors are not required to report to CRA. They only have to be accurate in what they report. Mortgage creditors, generally, take the position that a debt not reaffirmed in a 7 is not reported because you no longer have personal liability AND it could be a violation of the bankruptcy code if they do report it. A new lender likely exists that will accept a mortgage payment history from the mortgage servicer. You may just have to look for a while to find that lender. Good luck! I have a question. My husband and bought a house 6 years ago. I had to file BK 2 years ago. My husband did not file BK. I did not reafirm the house, per my attorney advise. During this time Bank of America was reporting on my husbands credit report. Everything was fine. They were not reporting on mine. I knew they would not report on my credit. report. After a year of this, Bank of America sold our account to Carrington. For over a year now we have had nothing but problems with them reporting the payments on my husbands credit. First, they never reported anything, when he fought for months they finally reported it and went ok for a few months, now they are reporting he filed BK on the mortgage (which he did not). He called them and they said since we are both our names are on there they had to put he filed BK. He said but i didnt file. He said so that means i can walk away from this house is what your saying? They didn’t really answer him. Now that he has filed the dispute with the credit now Carrington has taken the mortgage completely off his credit. He called back Carrington back and they said he has to reafirm to have it put back on there. How can you reafirm something you never even filed on? How does he get the mortgage to just report on his credit report. Bank of American didnt have a problem with this. You are correct – Carrington has “issues”. 😉 Your husband did not file bk. His credit report should not show he filed bk on the loan. Carrington does not have to report anything about the loan if the do not want to do so. However, whatever they do report must be correct. So, if Carrington does not care to report on his CRA, that is their prerogative. They just cannot show he filed bk when he did not. This is another question. We are wanting to refinance the house. This is why we were so concerned with them reporting the house and getting that BK off his credit. If they don’t want to put it on his credit to show payment history, how are we going to be able to refinance? Here is one for you. I went thru chapter 7 bankruptcy in 2009 and reaffirmed my 2nd mortgage and sat in front of the judge and said we do Not want our home in bankruptcy. So we sent paperwork to wells Fargo. Along with every payment then my husband took a job relocation and his company paid wells Fargo completely off IN FULL. They put on my credit report that the home was in default one time. I called and had them fix that then they still put in that it was included in bankruptcy. I filed a complaint with one of the big credit bureau agencies afyer months of fighting with Wells Fargo to remove that. They had comments wrote on my file said no late pmts but then in chapter 7 bankruptcy. Well then I looked andmy credit score dropped like a rock they removed it they told the agency to delete it. I only filed on 40,000 I wish I would have kept the money from his company now because I was and still am being punished. Isn’t anyone doing anything legally about these people they got a housing bailout for my house and our full pay off. My god . I want my credit fixed now!! 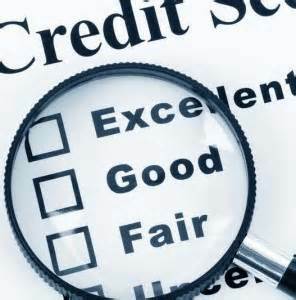 Hi Sheri: Credit reports and scores can be very frustrating. For example, if you pay off an old collection account, your score will initial DROP. Yep. So, yes, it can be frustrating even when it is accurate. Now, if it not accurate, then you have a legit complaint. Feel free to email me directly at the office if you think you might need/want to discuss hiring us to help restore/rebuild your credit. Wells Fargo is horrible! I wish there could be a class action suit against them for doing people that way. I have this same issue with them. I have filed for bankrtucy and now just signed reaffirmation papers.My mortage payment almost double.Why did It double the payment? Hi Angela: When you reaffirm a debt, all you are doing is confirming the debt you already have is still enforceable against you personally (and against the property). The terms do not generally change. However, they can change if both parties agree to the change in the reaffirmation agreement. So, look at the RA and see if it changed the terms. If it did not, then the payment you have should be that as determined under the original contract. A seasoned attorney should be able to review your RA and help you out, if you need it. My boyfriend and I bought a substantial home together with HIM(Jeff) just being on the promissory note and me on the mortgage/deed in PA , as co-ownership of the property(with rights of survirorship to my children). .He being much older he wanted to protect me and the kids from any financial burden. He went into default and the Mortgage company never contacted me but put my credit at huge risk by reporting me 180 days late on the mortgage payments. I find this criminal, I was never able to talk to them in the past and their attorneys say I have the right to know the property is going to foreclosure though I am not financially responsible. How could they damage my credit if I never made the payments to begin with. This was a repackaged loan so was this just a major error? what are my rights in fighting this? Hi Laura: If you are on the debt/promissory note then the credit history can be on your credit report. Can we name drop? What lenders will refinance a non-reaffirmed mortgage discharged in a Chapter 7 bankruptcy? Has anyone had success? I live in Pennsylvania. I don’t have any specific information on this. However, I am interested in any comments from others that may have that information. I am on your site, as I am trying to help a client that DID re-affirm his mortgage in his Chapter 13…but HSBC will NOT report his perfect payment history…even though not even 1 payment was made through his Chapter 13! He is paying 8.14% and I can help him with a 3.75% loan. HSBC just states it’s their prerogative! I am so frustrated for my client, but I am not going to give up! Hi Traci: The law says not that creditors must report, but only that if they do so that what they report must be correct. So, you might go straight to the current servicer and get a pay history to use for the new potential loan. My husband and I cosigned on our daughter’s mortgage in 2009 and are joint tenants on the deed to her house. In 2013 she filed Chapter 7 and did not reaffirm the mortgage. She/we had been making mortgage payments on time throughout. She’s experienced a number of medical issues and is currently unable to work and the mortgage has gone into default as of September 2016, as we cannot afford to make the payments ourselves with our own home and two other children in college. I contacted the lender, Wells Fargo, who informed us that everyone’s name associated with the mortgage has been discharged and that we technically no longer owe them, although of course they can enforce their lien against the property. I understand that legally we are not “excused” from the loan in her bankruptcy, but I checked our credit report and, indeed, they have not reported any activity against the mortgage since her bankruptcy finalized. We bought the home a couple of years into the housing downfall, but it fell much further and is still underwater. So, we can’t afford to sell in and, even if we did, she would not be able to afford to live anywhere else. At this point our goals are to protect our credit scores and for her to have a place to live, preferably this house. Our state (Illinois) has assistance programs I’m pretty sure she would qualify for (she has 2 young children) to help her keep her home, except that we are on the deed. We are considering a quit claim to take our name off the property, which should then make her eligible, as the assistance would be for her house, not “ours.” Our main concern is that if she still were not able to keep the house and it went into foreclosure, would that impact us if our names are no longer on the deed but obviously were on the original mortgage, which Wells Fargo says is now discharged for all of us? Also, is it typical for a mortgage company to discharge cosigners when the primary borrower declares bankruptcy? My research would indicate this is not normal, so I’m not sure if Wells Fargo may still come back after my husband and me at some point. You are correct in that her discharge did not give you a discharge of the debt. If you quit claim the property to her, you will no longer have an interest in the house, but you will still be on the loan. So, if the mortgage creditor forecloses, in theory, that can be on your credit report. Also, a foreclosure also results in a “public record” of the foreclosure that should also show up as a negative item on your credit report. Should. I can see why you would be confused. I hope this makes sense. My name is Joseph Beyer and I am a Mortgage Banker who has successfully worked Chapter 7/Chapter 13 Debtors and their Counsel for over the past 23 years and am licensed to conduct business in all 50 states with Evolve Bank & Trust. I have also provided forensic analysis in mortgage cases (Civil and Bankruptcy) and financing for Debtors in a 13 and Post-Discharge for Chapter 7/13 clients. There is no exaggeration that I have assisted tens of thousands of Debtors and would be happy to review any basic or complex case. I am based in Columbus Ohio and can be reached at 614-579-9992 between 8 a.m. to 11 p.m. EST, or at jbeyer@getevolved.com. 1. Regarding Chapter 7 Non-Reaffirmed Mortgages- POST-BAPCA ( Bankruptcy Abuse Prevention and Consumer Protection Act of 2005 )- I won’t get into why the law backfired on many creditors whose lobbyists pushed for the law change, but many attorneys did not Reaffirm Mortgages as most Mortgagees/Creditors continued to report and follow the “ride-through” position. The Mortgagees/Creditors are not required to report the history for fear of litigation (Sommersdorf), as Mr. Russell stated. To resolve a refinance or qualifying dilemma with a non-reporting mortgage I simply obtain the mortgage payment history online from the borrower, a (VOM) from the Mortgagee or even file a QWR for this information from the Servicer/Mortgagee/Lender. I then have the payment history, partial or complete, added to a *Credit Supplement or simply provide the history to be reviewed as part of the underwriting submission. *I have closed thousands of HARP, FHA cash-out/streamlines, VA, USDA, and Conventional Loans (FNMA/FHLMC) for Borrowers in or post-BK. It isn’t difficult and I can provide references from attorneys and clients if requested. * Regardless if the mortgagee reports to the repositories, which can be frustrating because you are not getting credit for the payments you have made on-time, the SERVICER reports monthly to the INVESTOR/AGENCY…therefore there is always a track record. ***I have included a couple of links for some good night time reading from the Congressional Budget Office (https://www.cbo.gov/publication/21992#section0 ) and FHFA/ Federal Housing Finance Agency ( https://www.fhfaoig.gov/LearnMore/FAQ ). 2. In my experience, Wells Fargo will NEVER refinance a mortgage that was not Reaffirmed. I simply get the three year payment history (available online) and refinance them away from Wells Fargo. 3. Credit Report reporting derogatory payment history, outdated, or partial history from a previous SERVICER (say GMAC-who filed BK, or BOA who transferred SERVICING to GreenTree/Ditech)-This includes Chapter 13 Mortgages (Conduit and outside of WEP) along with Chapter 7 Mortgages (Reaffirmed and Non-Reaffirmed)- Mr. Russell is spot on with what and who can report…but if the mortgage was not Reaffirmed I again simply update with a pay history or Credit Supplement. If your mortgage was never reaffirmed or ever filed a bankruptcy don’t believe that you are a “bad or high risk” borrower. Don’t settle for less and arm yourself with correct information…explore your options from a professional. Many agency programs don’t even have a waiting period if you are simply refinancing the existing mortgage…meaning you can move from a variable or higher interest loan to a fixed product while in a Chapter 13 (Court approval-Motion to Incur Debt) or one day out of a Chapter 13 or 7! The best advice that I can give is touch base with me and I will review your scenario and formulate a plan of attack. I hope that I was able to answer a few questions and hear back from you in the near future. Hi Joseph: Thank yo for the information. To The Reader: I don’t know Joseph, but the information he provides may be useful. Please let me know your experience if you work with him. We filed BK7 in 2008, did not reaffirm mortgage. House underwater. Plan to move out of state in approximately 3 years. Already purchased home in other state. Trying to find a timeline on foreclosure in Illinois. We want to come up with a plan to stop paying the mortgage and save the money. I just found your web site. Am printing it off. Very interesting and has given me hope. I will try to make this short.. My mortgage is with Well Fargo, they got it from Wachovia in 2010. I was 71 and wanted to retire from Pub. School Teaching. My house had flooded 8 years before that and Allstate would’t pay for the damage.I had huge repair bills and had to declare bankruptcy. (2011) My house, truck and equipment for my home cottage industry was exempt from the bankruptcy. I retired at 72. I did not checked my credit score for the last 5 1/2 years because I was doing OK and didn’t want to buy anything that would anything that needed credit check. I decided I wanted solar because my electric bills were over $400. 00 a month. I got a solar company and they checked my credit score. It turns out that I have been in bankruptcy the last 5 years because Wells Fargo has not posted one payment for over five years. I haven’t missed a one and never late. They say I didn’t file a reaffirmation paper and they admitted to me that they never offered me one. I talked to my lawyer and he said that wasn’t part of his job. I have talked to Wells Fargo on the phone a number of times and corresponded with them for the last 5 months and have gotten no where. They keep changing their story and he finally told me a that the bankruptcy will stay on my record until the mortgage is payed of which would be 2050., I told him I would be dead by then. The first of the year they also pulled a real fast one on me.. They said my impound account was $1800.00 short and increased my house payment almost $200.00 more a month after it had become fixed in Jan. 2016. I told them they were suppose to keep track of my impound account every 6 months or so. I live in a Granny Flat on my property and I rent my big house and a small cottage on my property for my income. ( I taught Adult Ed. Challenged kids and adults. I don’t get the retirement that reg. teachers get. This place is my lively hood.) My fear now is that if I can’t get an equity loan at some time or other my whole means of living could be lost. I just had to put in a new water heater in the big house and it wiped out my savings. Another issue that came to my mind this week is that, my Son is the execute of my living trust and has the authority to use the equity( $300,000.00) to take care of me if I become disabled in any way. I am 78 now. I really feel that Wells Fargo has set me up to loose this place in time. I would appreciate any ideas you may have that I could try to get them to drop this credit problem dropped. Then i will try to refi. through someone else.I built this house in 1968 and have raised two kids here and helped with my Grand kids. A lot of history here. I have kept it going all by myself and I AM NOT GOING TO LOOSE IT NOW! If you have a potential lender that needs proof that you have made payments on time for the last 5+ years, you can get a payment history from your mortgage servicer. I had one client in that past use that to satisfy a potential lenders requirement for proof of timely payment. You are not the only one that has this issue. I suspect if you call some of the larger mortgage companies, you might find one that can work with yo on that. Also, a local smaller one that makes their own loans (“portfolio loans”) might also be able to work with you. I hope this helps. Hi, my husband and I filed chapter 7 in 2010 and we decided to stay in the house. We did a loan modifications with a variable rate interest. Now the rate has capped out, but we are not able to afford the payments anymore. We listed the house for sale, because we do have some equity. The house has been on the market over 100 days and we cannot continue making our payments. We are considering a mortgage release (we live in CT.) and would like to know if by doing so our credit will be negatively affected. With our chapter 7 filling, no activity appears on the credit report. Will a mortgage release show up on the report? I am not familiar with CT law. The credit report should continue to show that the debt was discharged in bankruptcy or zero balance due. The only negative credit event I can think of might be if any part of the “mortgage release” results in a “public record” being filed. Please check with local counsel on that point. Thank you for this post. It has completely answered all of my questions. I just learned on yesterday by pulling my credit report that my house was included in my bankruptcy. Before reading this, I assumed it would be an easy fix and that I could simply call Wells Fargo up in the morning and demand that they begin reporting my payments, but I see there’s no use and that isn’t possible. Wells Fargo is a deceptive company. I was told several times by phone that I would receive reaffirmation papers to sign but never did. The last time I called pre discharge, I was told that I didn’t have to sign any papers as long as I kept the payments up I could stay in the home. They failed to mention that it would be reported as discharged in the bankruptcy. My question is since my home wasn’t listed on my sheet of debts to be discharged, shouldn’t it be illegal for the lender to discharge the home anyway??? I didn’t sign off on any paperwork stated that included my home. This isn’t right and should be completely illegal! Generally, a mortgage debt not listed in your bankruptcy schedules is still discharged. Mortgage creditors are not required to reaffirm debts. If you need proof of payment for a loan, you can get a history of payment from your mortgage servicer. I am glad you found this post helpful. I am sorry that I don’t have better news for you. I’m not sure if you will have an answer to this question. It’s a bit complicated, I fear, due to having filed bankruptcy and not reaffirmed, along with getting divorced. In any case, my mortgage and deed are in one name (married). I filed bankruptcy in 2004. In 2004, I changed my name legally to my maiden name. I did not change the name on my mortgage or deed as I wasn’t sure that was possible since I didn’t reaffirm. My homeowner’s insurance policy was taken out with my current company in 2007, in my now-legal maiden name. I have read on the Internet (not always a good idea) that this could be considered a void in the insurance requirement because the name of the insured does not match the name of the person with the loan. I then read that this could speed the foreclosure process. I am hopeful that as I have not run into any issues in the 10 years that this has been in place, I am in the clear. But I’m a worrier. You might consider sending the mortgage company a copy of the name change order so they know your name has been legally changed. Call them first and tell them. See what they need/want. I can’t image what you describe would “speed up” the state required foreclosure process. To be safe, you might see a local real estate attorney and she want you might want to do, if anything, to tighten things up. Honestly, I doubt you have any issues. But, seek local legal counsel to get legal advice you can rely upon. Hi my name is Tameika and I live in Ny and as with many of above, I have a non reaffirmed mortgage with Wells Fargo, that I have used been paying on time for the past six years. I am selling and thought about not paying in hope of selling prior to them beginning foreclosure proceedings. Today I contacted a mortgage bank that understood my situation and said it was no big deal as long as I can show my payment history of on time payments (he didn’t mention how far back of a history he needed it I will now continue to pay until closing). Since 3 other mortgages folks gave me a hard time a thought I would have to close on this house first (and live with my parents for a few months) before being able to obtain a preapproval to purchase my new home. The information from this guy today seemed too good to be true but now reading your blog I am more confident that he wasn’t just feeding me bs to get my business. I am so happy right now, I am expecting my preapproval tomorrow by email and can begin my search for a new home. Will be happy to pass his info along if all goes well. Thank you for being very informative. Wonderful. So, how did it go? Hy husband and I filed Chapter 7 in 2012. We told our lawyer that we want to keep the house and continue making the payments. Over the year my husband had heath issue and we got behind on the payments two months. We sold our house a year and half ago and now we are trying to buy a home. The lender that we are trying to get a loan through said that Wells fargo reported that it was in BK 7 come to find out our lawyer didn’t reaffirm the loan. The lender requested a call from wells fargo to verify that we sold the house Wells Fargo told them that the loan was paid off when we sold it. Now the lender is request for payment history from wells fargo. My question is will did effect us not to get the loan? Ask you a question that needs to directed to your potential lender. It’s not really a legal question. Best of luck! I have a question regarding bankruptcy chapter 7. My wife and I filled bankruptcy almost 2 months because we just to have a business and it didn’t go well. We filled Ch 7 as a couple and on the business. The catch is that our house is the collateral for the loan on the business. We are totally scared of the outcome on the second mortgage, the bank already order an appraisal on our home. We are hoping that we can have reduction on the debt and a loan modification to be able to pay the second mortgage. Is there anything else we can do to strip off the second loan? Thank you for you help. Fidel: My apologies for the delay. You raise a good question. As a general rule, you cannot disconnect an agreed mortgage against your home in Chapter 7. You would receive protection in that they could never, for example, garnish your wages for nonpayment. However, yes, they can foreclose if you don’t make arrangements to make mutually agreed payment. Given that they cannot pursue YOU, they may be willing to negotiate if there is little equity in the house. NOTE: If you file a Chapter 13 and you owe more money on your first mortgage than the home is worth, then you might be able to “disconnect” the second mortgage lien in a Chapter 13 case. It’s called ‘voiding a wholly unsecured mortgage in Chapter 13’. For the lien to remain removed, you would have to complete the Chapter 13. Depending on the law in your jurisdiction, your prior Chapter 7 discharge may complicate that. Find an experienced local attorney and run the scenario by them to see what is possible in your area if you think you might qualify. I hope this helps! I have a quick question. Filed chapter 7 and have been discharged for 8 months now. Signed over a quick claim deed to my wife. Can the mortgage company pull a hard inquiry on my credit report? Seems like they have no reason being I’m discharged and no longer on the deed. I filed for bk 13 on 2009 and converted it to bk7 on 2013 but only to find out it was not discharged due to lack in requirements. I pulled my credit reports and showed bk7 was discharged and i owe nothing to my creditors including my 2nd mortgage, is that possilbe?My understanding is if I dont finish up the 5 yr plan in bk 13 my 2nd mortgage will come back? Now, I had my title pulled out and there is a lien on my title since 2007 by my lender on my 2nd mortgage. I have been current on my 1st but afraid to get foreclosed by my 2nd since my property already have equity. What should i do? Lawyer advised me to discharge my bk 7 since it has not been although my credit shows it did then if 2nd lender seeks for payment i should just file for bk13 again, but i will end up paying my 1st and my consolidation (bk13) when i cant afford to do that. whats best to do? You have a complicated matter. There is no way to fully analyze and give you a correct answer on the facts presented. If you completed a case to discharge, then you received a discharge. You need someone with access to the information to run a quick report to see if you received a discharge. However, even if you received a discharge, it does not mean that the second deed creditor’s lien on the home went away. To fully determine what might be your best course of action, you need to meet with experienced bankruptcy counsel to fully review your matter. Best of luck! I need help. I filed and completed chapter 13 bankruptcy over 8 years ago. I’m now divorced. I had a 1st and 2nd mortgage that was not reporting on my credit after the bankruptcy. Ive since divorced. My divorce decree said my spouse was to pay the 2nd, be filed for bankruptcy a 2nd time. Well, the 2nd was sold to a 3rd party. They’ve since put the 2nd mortgage on my credit report? How? I’m so confused. I suspect that your obligation for the second deed/mortgage was discharged in your 13, but that is not a given. If it was, it should not be on your credit report (in theory) then or now. If your spouse filed a Chapter 7, his “property settlement” obligation to you to pay the second would not be discharged by his Chapter 7. So, you may well be able to collect from him. However, this is complicated. You should check with local experienced counsel what the exact result should be given your particular facts. Good luck! I filed a chapter 7 bk may of 2016- I owned 2 residential properties and reaffirmed both mortgages in a timely manner. I have been making payments on both mortgages timely however the lenders refuse to update my current balance owed and refuse to report my payment history. I have been bounced back and forth between the credit reporting agency and the mortgage company on a ” just file a dispute” crazy train for over an year and a half now. I can’t seem to get anything done. Does a creditor have a duty to report credit accurately? If so, where do I go for relief? A CRA does not have to report any info. Simply, if the DO report, then it needs to be accurate. If they are reporting inaccurate info, then yes, you follow the dispute process … which could ultimately lead to you filing a lawsuit against them, if need be. We filed Chapter 7 in Dec. 2016 and received our discharge in March. We reaffirmed our car payment, our mortgage, and a payment for a mower (We have 5 acres to maintain). Our case was in MO. Our car loan is showing on our CRA, but the mortgage is showing two months of NR (not reported) while the bankruptcy case was open. All payments were paid on time, can we dispute this with the credit reporting agencies to get the non reported payments to report? CRA’s do not have to report all consumer debts. Simply, if they do, the info reported must be correct. So, if your mortgage was reaffirmed, they COULD should the debt but they do ot have to do so. You might, however, confirm with the mortgage company that they show the debt was reaffirmed and ask them if they are reporting payment/non-payment. If not, then you might ask them why. If they are, then you need to check with the CRA and ask them why they are not showing the info supposedly being reported. My wife filed for bankruptcy approximately 2 years ago and was granted a discharge. I did not file for bankruptcy, and my name was not on her paperwork. WELLS FARGO is not reporting the payment history on MY credit report. Payments have been made on time, all of the time. The payments are made from my bank account. Is there a way to fix this? Or will the debt disappear from my credit report after a certain period of time? I live in Illinois, does this make a difference? Thank you for your input. Well, WF does not have to report anything on anyone. Simply, if they do report, it must be accurate. So, maybe WF is “just being careful”. I’m not sure. Are you sure you are on the debt? If not, that would explain why it’s not on your credit report (if that is the case). I have a question, we filed bankruptcy in 2010. Our mortgage debt was NOT re-affirmed. It had not been reported on our credit until this year when the mortgage was transferred to another lender. Now all of a sudden, my credit has been hit with a big mortgage loan. My credit score went down significantly! Should I contact the mortgage company and advise they should not be reporting the mortgage? Can I sue them? If the debt was discharged, then you don’t personally owe the debt, and the debt should not be on your credit report. Now, if it were me and the information reported is beneficial, I would not complain. If it’s negative, then I’d file a request with both the CRA and the creditor and ask them to remove the entry on your credit report. If they don’t then it is potentially a violation of the post-discharge injunction and, yes, they may well owe you money. So my mortgage company didn’t get the signed affirmation to the court before my chapter 7 was discharged. Because of it they will not let me make my mortgage payment online. My only option is to pay over the phone or send them a check. I hate sending checks and calling I spend 30 to 50 minutes on hold. I’ve been trying to get them to allow my online access because it makes my payment option allot easier. Do I have a leg to stand on because they failed to get the affirmation to the courts for an approval? Would it be worth reporting them to the BBB? They likely don’t have to allow you to access the account online. They likely are concerned that allowing you access means you will see language at the site that says you owe them money on the mortgage. Technically, your obligation was discharged. So, they don’t want to get in trouble asserting you owe when yo do not. [Yes, they still have the lien, and they can foreclose on the lien and take the house of you don’t pay the discharged d4bt.] You can always file a BBB complaint if you think that is appropriate under your circumstances. If you sent them the RA and they just failed to file it, I might be bothered as well! I just read through your website. Thank you so much for ALL the great information you provide here. I’ve learned a lot. I’m in California. My Chapter 7 BK discharge was in May 2012. In October 2012, my mortgage was finally modified (2.5% 40 yrs). First payment was Jan. 2013 and always on time since. I didn’t learn of Reaffirming my mortgage until I purchased my car in Feb 2014. My credit union denied me an auto loan because my mortgage payments come out of my checking account but they are not showing on my credit report. Question: I did not and have not reaffirmed. Can I still put my house in a Trust? I want to add my mom to avoid probate and just in case she ever needs to take over. Will I be able to leave the house to a family member legally? Wonderful! You might be able to tell that I really want stressed people to be able to find plain English answers at midnight when they are stressed and cannot sleep. 😉 Thank you! My husband and I filed Chp 7 bankruptcy in 2003 (Georgia). Our mortgage, we later discovered, was not re-affirmed as we thought it was. It is has not been reported to credit bureaus in a very long time. We now have equity in the house and want to sell. While we are current on payments, we have been behind in the past (we knew we weren’t liable and were underwater for many years, so when times got tough we paid late on the mortgage instead of other bills that would affect our credit score). Current credit score is excellent with auto loans and revolving credit. Is there any reason we couldn’t just apply for a mortgage as new home owners and not even mention the current “invisible” mortgage? How would they know we have the mortgage if it isn’t being reported? Once we are in the new house, we will sell current house. We are confident our current home will sell quickly, and even with both mortgages we would be less than 35% DTI. Well, with reaffirming you personalty owe on the debt. So, they could report it to the credit reporting agencies. But, they don’t have to. Simply, IF they choose to report, the info they report must be accurate. But, again, they are not required. What to do? First, I’d check with the bankruptcy court and make sure a reaffirmation agreement was actually filed with them. Maybe it was not. If it was, you might ask the mortgage servicer why they are are not reporting the activity. Possibly, you thought the debt was reaffirmed, but maybe it was not. Otherwise, maybe the creditor just has a policy to not report accounts for people that have received a discharge. You’ll have to do some checking. Please feel free to report back and we can review this further. Thanks for the response, we’re thinking of selling our current house and buying a new one. And we might have a problem since no payments have been reported since 2009. Thank you! I’m happy to hear it was helpful. My pleasure. Happy to be of assistance. I filed chapter 7 bankruptcy but reaffirmed my home and car loan, both through PNC bank. Both affirmation were approved and signed but for some reason both loans show on my credit report as closed due to Chapter 7. I have been trying for over 2 years to get this resolved. I have faxed my reaffirmation papers into the bank and they told me that they would start reporting it my payments but that has not happened. I just got of the phone with a loan office her told me that bankruptcy laws state that they don’t have to report my payments. Which is not how this was explained to me and contradicts what their customer service said. I am just at a loss right now, I pay my bills have only one credit card with a low limit and just want to try to rebuild my credit but having a car and home loan look like they are in bankruptcy hurts me. Generally, a creditor is not required to report a debt. Simply, if they do, what they report must be accurate. So, they don’t have to report post-bankruptcy payment/non-payment. However, I’m not sure what they mean by “closed”. It was not discharged because you reaffirmed. I’d see what the report means by “closed”. You can dispute that/any entry. You can also write a brief 100 word statement to be included with your credit report. Here is a link to an article that helps explain that. Please feel free to report back on your progress. My husband and I filed for Chapter 7 in Dec. 2014 and we were discharged in Spring of 2015. I am not on the loan. He did not reaffirm the loan even though Wells Fargo tried to strong arm us into doing so. Basically they finally got to the point where they outright asked him if he planned on staying in the home and making payments, he said yes. We haven’t heard a peep out of them since. So the question is if he passed away and my name is nowhere on any paperwork can I sell this house? He keeps telling me it automatically will go to me. I personally don’t believe that. or does it? In addition I am so glad I found this article it answered a lot of my other questions. I filed my chapter 7 BK in 2007 and never reaffimed my loan. I modified my mortgage under the Fannie Mae guidelines in 2014. I was put in a 40 year term. I have fallen behind again and was told that I could not modifiy this time because they changed the law in November 2018 stating that not able to modify any loan that the borrower is not liable for. Does this seem correct? Under the HAMP program, you could not be denied a modification due to a failure to reaffirm the mortgage. However, that program expired 12-31-18. Without knowing what type of loan modification you are seeking, it’s hard to say if they can deny based on failure to reaffirm. It quite possible they can deny modification based on failure to reaffirm unless other states or federal laws prohibit it. I filed chapter 7 Bankruptcy in December 2018. My mortgage with Chase was current at the time I filed Bankruptcy. I did not reaffirm. Once Chase received the filing, during the “stay”, Chase sold the loan to another mortgage company. Again, I was current at the time I filed. Now, post Bankruptcy, I have 2 mortgage companies reporting the same debt as discharged in Bankruptcy. I didn’t think Chase would be allowed to sell my mortgage during this period, knowing I wasn’t reaffirming. My first question is how could they sell my loan with the knowledge that I wasn’t reaffirming during the Automatic Stay and while I was current on the loan, and secondly how both mortgage companies can report the same debt as discharged when I never owed the second mortgage company. thanks. I agree that you could only have one mortgage debt when you filed. This, only that creditor can show the discharged debt. You should dispute the entry that is incorrect and state the reason that you did not owe them money when your case was filed. Also, I’m not sure Chase “sold” the debt. Sometimes the entity that owns the debt just picks a different loan servicer. You end up sending your payments to a different entity but that does not necessarily mean they sold the underlying debt. Either way, I don’t think them selling the debt or changing the mortgage servicer is a ‘collection effort’ prohibited by the Bankruptcy Code’s “automatic stay”. I was “forced” in to BK after fighting banks for years to avoid it. One bank in particular buried its head in the sand and ended up losing nearly $3M because they were unwilling to restructure and because they thought I had money “tucked away” or someone would swoop in and pay it. They were shocked when I pulled the trigger. Regarding Chase, the issue is that they knew I filed BK and that I was not reaffirming. With that information obtained from the BK court, they began to move what would be a troubled asset to another servicer or mortgage company. Let’s say they sold the note, as they told me they did. Who would buy a under water mortgage with zero chance of making money. If fact, in this case, they lost money, nearly $100k. Either Chase lied about the status of my loan or the purchaser is part a bigger scheme, working with Chase to keep it’s books clean. I have no idea but most all banks are crooked as hell. Regarding the “automatic stay.” If this is a standard practice by Chase, to “move” notes, knowing they are about to go in default, then they knowingly create a hardship on debtors under this practice. They understand 100% that this will create multiple trade lines and to do it after 15 years of faithful payments and only during the automatic stay, makes it pretty clear, they know what they are doing. Since you owed money to Chase on the day you filed, Chase can show the non-reaffirmed debt as written off/included in bk/balance due is $0.00. If some other entity is saying you owed them money that was discharged in bankruptcy, then, as I noted, dispute that credit report entry.